CLICK ON NETS TO VIEW LARGER. 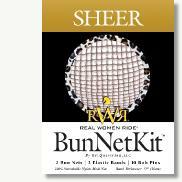 RWR® Makes Creating a Bun Easy! Everything you need all in one kit. 1. 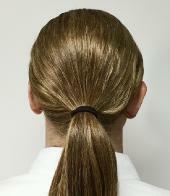 Make a low ponytail at neck base. Secure with elastic band. 2. 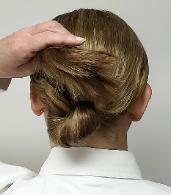 Twist hair very tightly. 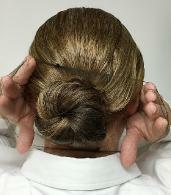 Coil around the elastic band. 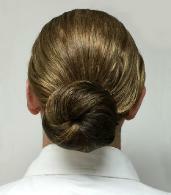 Snug hair end gently into outer bun edge. 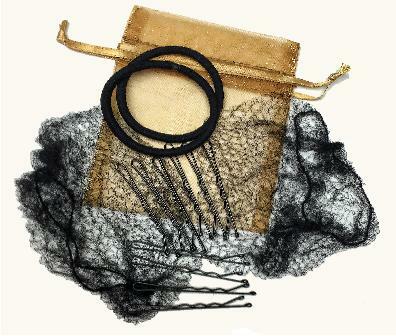 Secure with bob pins. 3. 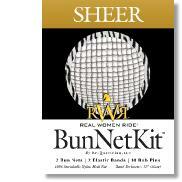 Wrap RWR®Bun Net around the bun. Twist net again if needed—wrap until tight. Secure with more bob pins if necessary. 4. Use super hold hairspray several times. 5. 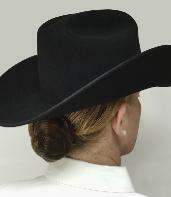 Place your hat/helmet on your head. Your are ready to show!